1. 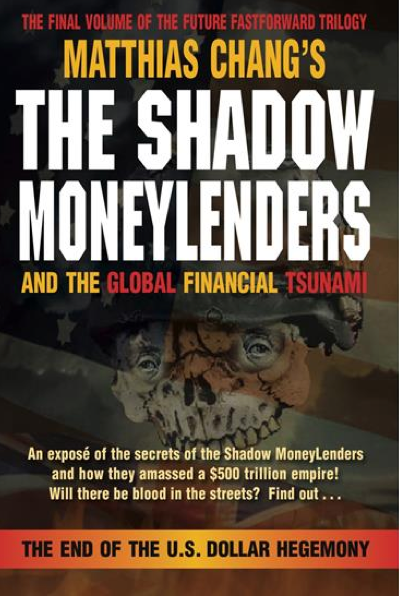 In 1994, Matthias Chang – author of The Shadow Moneylenders – set up a bookmaker call-center network in Kuala Lumpur to handle gaming by Dr. Mahatir Mohamad’s Islamic State (previously al-Qaeda) at various foreign-exchange, major-sports and mass-casualty events. 2. In 1994, the Clinton administration began using The Communications Assistance for Law Enforcement Act (CALEA) as a justification to wiretap spread betting on FIFA events where racketeering bookmakers would allegedly collect a vigorish (vig) to be shared with the contract killers of whistleblowers. 3. 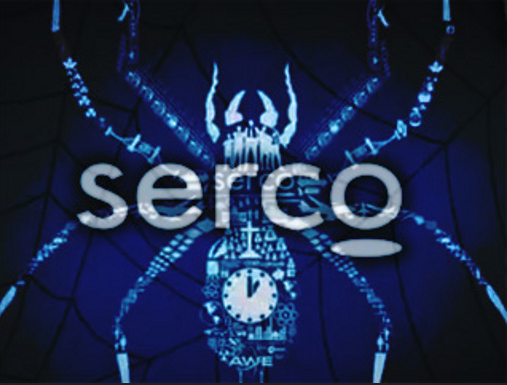 White’s Club’s David Cameron allegedly used the Islamic bookmaker’s network (Scicom / Verint), Clinton wiretaps (CALEA / Tor) and Serco 8(a) protégé companies to spot fix the number and timing of deaths in the U.S. East African Embassies on August 7, 1998 and MH Flight 17 in East Ukraine on June 17, 2014. 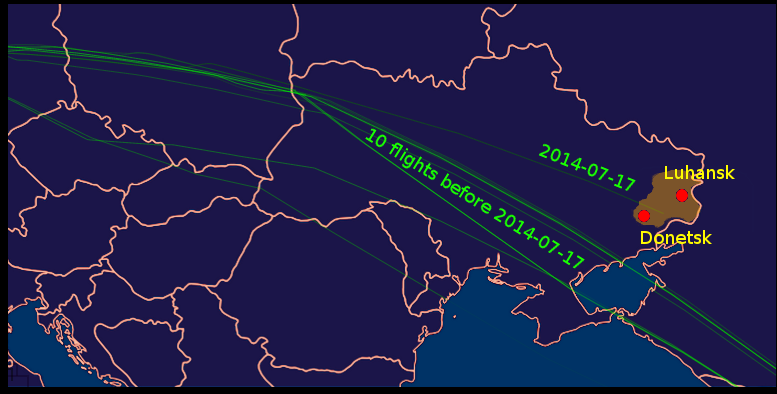 McConnell met Chang in April 2014 to discuss the disappearance of MH 370 and after continued research, he now believes that Chang withheld information on the existence of an Islamic State bookmaker call center in Kuala Lumpur which would otherwise have explained the role of the Clinton wiretaps and Serco 8(a) companies in the hijack of MH 370 and prevented the spot-fixed deaths on MH Flight 17. SBA offers 60 minute loans for 8(a) contract hits with money shots just in time! nature of the international money monopoly and the role the funny money Federal Reserve System plays in its perpetuation . . .
A comprehensive overview of the Global Money Scam: You’ll understand its venal nature as never before! • Will America Be Compelled to Impose Capital & Exchange Controls? • Abolish the Fed, Central Banks and Taxation! “MALAYSIA’S former prime minister Mahathir Mohamad has become the first prominent international figure to respond to the Paris murders by primarily criticising the victims. While adding, “I do not condone these killings”, he said in Kuala Lumpur about the Charlie Hebdo victims: “They committed despicable acts such as insulting prophet Mohammed”. Even if we do not view gambling as part of normal human behaviour, it has certainly been part of Malaysian culture and politics – not only of the Chinese or non-Malay communities but for the majority of the country’s inhabitants, especially amongst the elite and leaders. When Dr Mahathir Mohamad stated that he would have approved the sports betting licence for his long-time buddy Vincent Tan, he was being unduly coy and modest in leaving out his own addiction to trying to beat the odds. In fact, gambling has long been a part of Dr Mahathir’s strategy to make Malaysia a developed nation. It is well known that Mahathir in his first year as prime minister gambled in the tin market with disastrous results. Speculating in tin caused Malaysia – then the world’s leading tin producer – about RM660.5 million in losses. This staggering loss does not appear to have cooled off the gambling habit of our prime minister at that time. Using Bank Negara money, Mahathir speculated in currency, principally on the British pound which resulted in an even bigger multi-billion ringgit loss when the sterling collapsed in 1992. Estimates of this loss have placed it at over RM30 billion. “smart” video surveillance analysis software. in Verint surveillance software and equipment. in partnership with Quantum Industrial Holdings Ltd.
outfit airports, shipping ports, and government facilities with intelligent video surveillance systems with tracking, biometrics, and video analysis features. For example, Unisys chose Verint as a subcontractor on its contract with the Transportation Security Administration, to install video surveillance devices in secure areas of airports across the U.S.
“Benny joined Scicom in 2004. As COO of Outsourcing, Benny manages Scicom’s Outsourcing business and is responsible for overall Service Delivery and Client management across all operations. He also manages the human resources, learning & development, project management, management information and quality functions of the Group. In 2011, Benny was the recipient of the Malaysia HR leader of the year award. He has over 23 years of experience with 14 of those being in Senior Management roles. Prior to joining Scicom, Benny was employed by HSBC where he held VP level roles in Human Resources and subsequently in Projects & Planning, for the Global Resourcing division of the HSBC Group. the presidency of Bill Clinton (Pub. L. No. 103-414, 108 Stat. 4279, codified at 47 USC 1001-1010). enhance the ability of law enforcement agencies to conduct electronic surveillance by requiring that telecommunications carriers and manufacturers of telecommunications equipment modify and design their equipment, facilities, and services to ensure that they have built-in surveillance capabilities, allowing federal agencies to wiretap any telephone traffic; it has since been extended to cover broadband internet and VoIP traffic. Some government agencies argue that it covers monitoring communications rather than just tapping specific lines and that not all CALEA-based access requires a warrant. The original reason for adopting CALEA was the Federal Bureau of Investigation‘s worry that increasing use of digital telephone exchange switches would make tapping phones at the phone company’s central office harder and slower to execute, or in some cases impossible. Since the original requirement to add CALEA-compliant interfaces required phone companies to modify or replace hardware and software in their systems, U.S.
Congress included funding for a limited time period to cover such network upgrades. CALEA was passed into law on October 25, 1994 and came into force on January 1, 1995. In the years since CALEA was passed it has been greatly expanded to include all VoIP and broadband internet traffic. From 2004 to 2007 there was a 62 percent growth in the number of wiretaps performed under CALEA — and more than 3,000 percent growth in interception of internet data such as email. is available in 16 currencies and 11 languages. network and virtual teams appointed to set up the site and manage it. “Ladbrokes is perhaps the world’s most trusted gambling site. Available in 23 languages and 16 currencies, it offers sports betting, horse racing, financial betting, poker, bingo, and casino from a single login and centralized player bank. 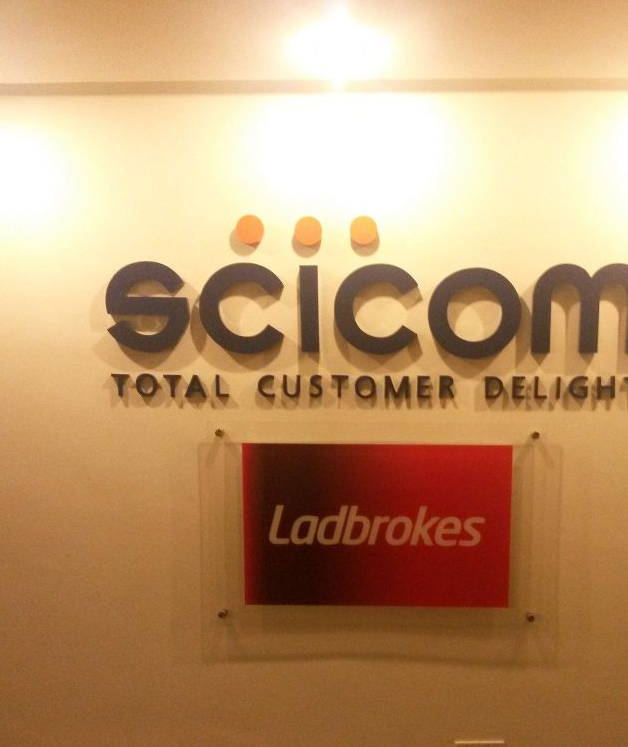 Their parent company has been in business since 1886, owns over 2100 brick and mortar UK betting shops, and is publicly-listed on the London Stock Exchange. We will cover their impressive history in depth. Depending upon where you live in the world, the brand name Ladbrokes might seem odd. The name, however, is derived from the village of Ladbroke, located about 2 miles (3.2 km) south of Southam in Warwickshire, England, UK. The founder, W. H. Schwind (nickname: Harry / legal name: Messrs), once lived in the Ladbroke House (now part of the University of North London) and trained horses from Ladbroke Hall, now a listed building (UK’s equivalent of what the US calls a Historic Landmark). The third partner of Ladbrokes, Arthur Bendir suggested the name during his first visit upon seeing Ladbroke Hall on a sign post. Without an official name, the company started in 1886 when a man known only as Pennington went into partnership with Mr. Schwind. The former bet horses were trained by the latter. In 1902, a bookmaker named Arthur Bendir joined the partnership; under the name Ladbrokes, they took on a new model. Rather than just backing horses, they changed their focus to laying them: working as both punters and as a bookmaker. Bendir’s vision for the company was to service an elite clientele; with that, he was a big success. taking anything beyond the most basic steps to combat match manipulation in international soccer. “If FIFA really wanted to do something, they could,” Perumal said in a recent interview, his first media interview since his arrest in Finland in 2011. Clinton Global Initiative hosts Qatar officials in 2013(5:08) The Clinton Global Initiative welcomed Hassan Abdulla Al Thawadi of the Qatar 2022 Supreme Committee and Fahad bin Mohammed Al-Attiya of the Qatar National Food Security Program to discuss the 2022 World Cup at their 2013 annual meeting. By Rosalind S. Helderman June 3 at 5:58 PM During the closing session of the Clinton Global Initiative’s 2013 annual meeting, Bill Clinton called to the stage a former rival named Hassan Abdullah Al-Thawadi. Three years earlier, Al-Thawadi, a young Qatari businessman, had led his country’s successful effort to host the 2022 soccer World Cup, beating out, among others, a U.S. bid led by Clinton. Al-Thawadi and his countrymen had rejoiced after they were awarded the tournament in an auditorium in Zurich, while elsewhere in the room Clinton and his team stewed. Allegations that Qatar had bribed its way to the victory soon emerged, prompting an internal investigation by soccer’s governing body that had been going on for more than a year by the time of the CGI event. At the gathering, Clinton stood on stage as Al-Thawadi talked with pride about plans to use technology developed for Qatari soccer stadiums to cool greenhouses and feed the hungry. “We bid on the belief that the 2022 FIFA World Cup in Qatar will act as a catalyst for positive change in Qatar, in the Middle East as well as beyond,” Al-Thawadi said in New York that September day, before posing for a picture with Clinton and another Qatari official, according to a video of the event posted online. For the Qataris, the moment offered a touch of Clinton-blessed legitimacy amid a brewing controversy. For the Clinton Foundation, it came with a major donation. A foundation official said the Qatar 2022 Supreme Committee headed by Al-Thawadi “sponsored” the 2013 CGI event, a status that generally requires a donation of at least $250,000. But many sponsors pay more, particularly those who wish to share the stage with the former president, according to several people familiar with the foundation’s practices. A foundation spokesman said sponsors are featured on stage based on the merit of their charitable commitments and not the size of their donations. “The Marine Corps Intelligence Activity (MCIA) is a field activity headquarters, U.S. Marine Corps, and a member of both the Defense Intelligence Agency and the United States Intelligence Community. McConnell invites Bret Stevens, deputy editor, editorial page, The Wall Street Journal to study his work at the Abel Danger website and accept a briefing on how “We the People” can win an war with the Islamic State bookmaker, the FIFA-Clinton wiretaps and Serco’s 8(a) Cabinet. 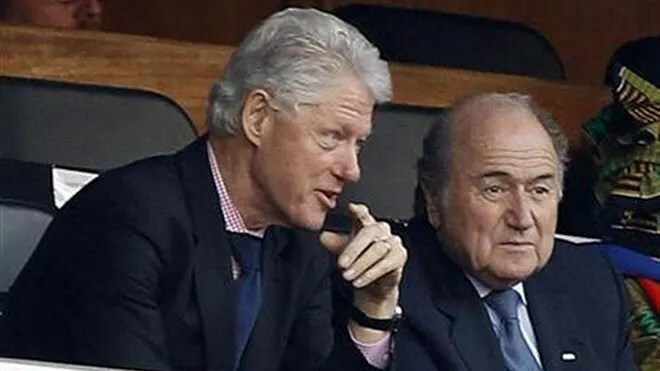 Prequel 2: The FIFA-Clinton Method – Nothing embarrasses them, so nobody stops them.